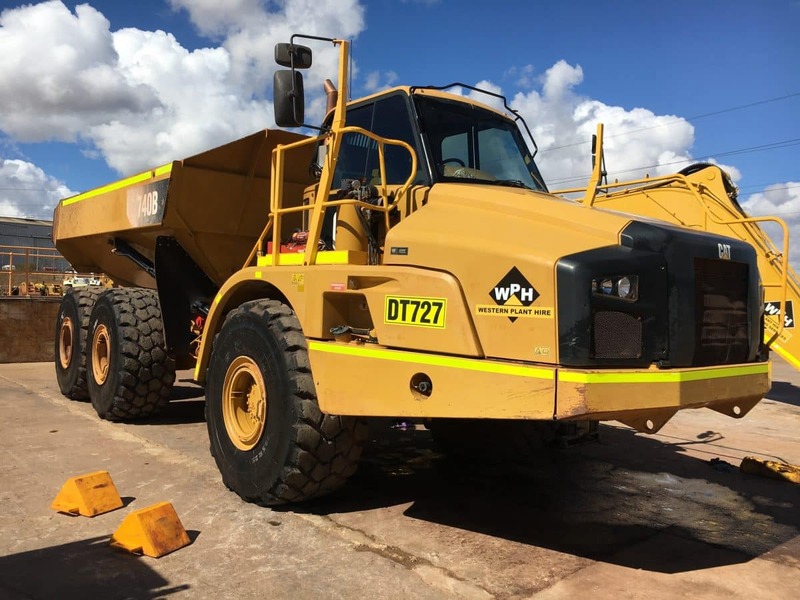 WESTERN PLANT HIRE HAVE A LARGE FLEET OF CAT RIGID AND ARTICULATED DUMP TRUCKS, SO WE CAN ASSIST WITH BOTH MINING AND CIVIL PROJECTS. 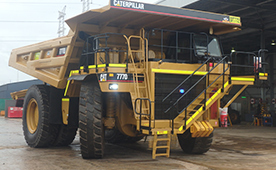 We specialise in Cat 100T 777D rigid dump trucks, and hold a huge range of spares and components to support them. Many of our clients match our 777 trucks with our Komatsu PC1250 excavators to make a tried and tested mining fleet combination, and often opt for WPH to take care of the units on a fully maintained basis on their sites. Our trucks have full mine spec including fire suppression, auto lube and angle ladders for safe machine access. Some of the regions in Western Australia that we operate regularly in are; Perth Metro, Kalgoorlie, Karratha, Newman, Port Hedland, Paraburdoo, Tom Price, Nullagine, Pilbara, Goldfields and the South West. WPH have Caterpillar 740B Articulated Dump Trucks available for hire nationwide. WPH have this Caterpillar 777D Rigid Dump Truck available for hire nationwide.